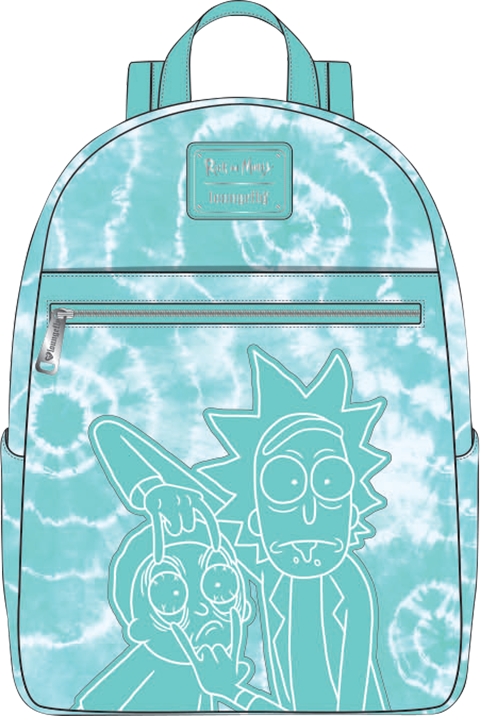 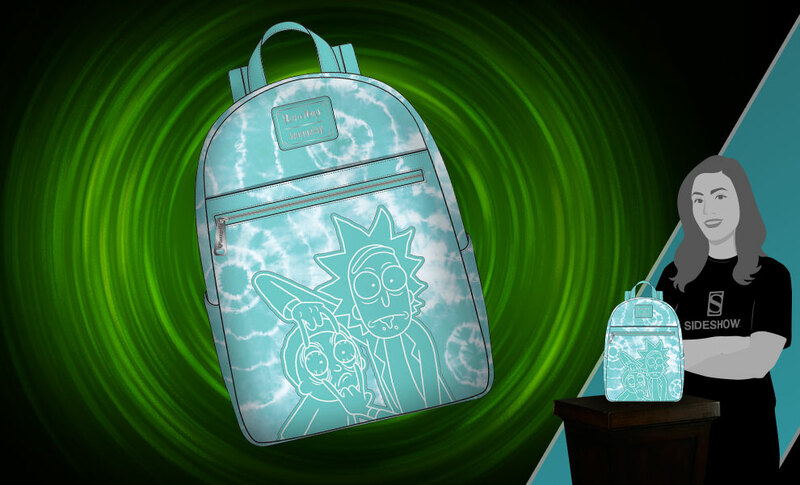 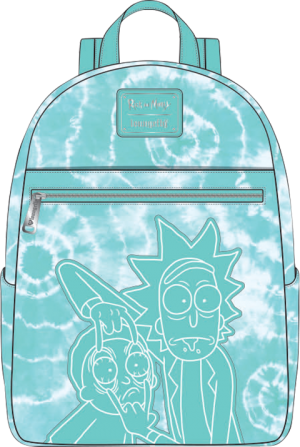 Introducing the Rick and Morty Tie-Dye Mini Backpack from Loungefly. This faux leather mini backpack features applique details and adjustable straps. 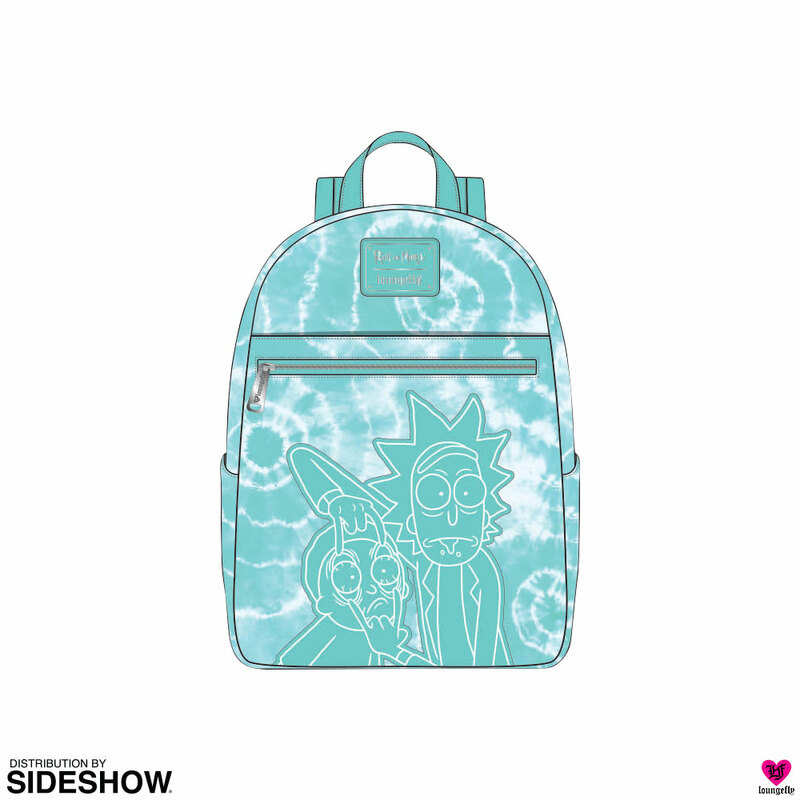 This officially licensed faux leather mini backpack is a must-have for fans of Rick and Morty!